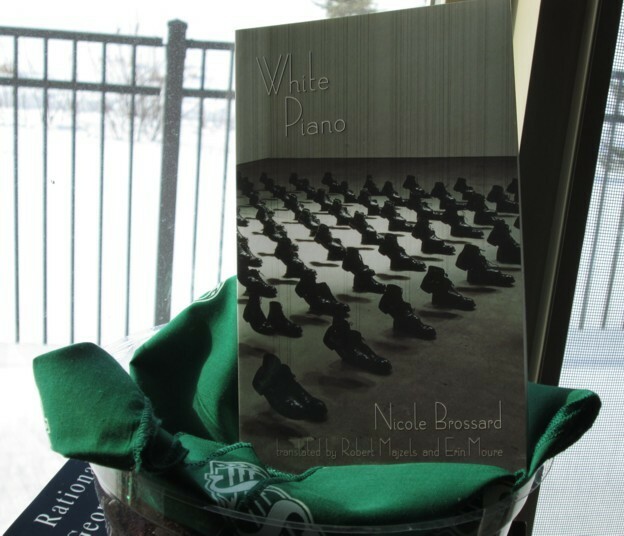 Nicole Brossard is one of Québec’s leading poets, novelists, and literary theorists, and has published more than thirty books since 1965, including These Our Mothers, Lovhers, Mauve Desert and Baroque at Dawn. Brossard also co-founded La Barre du Jour and La Nouvelle Barre du Jour, two important literary journals in Québec. She has won two Governor General's Awards for poetry, as well as le Prix Athanase-David and the Canada Council's Molson Prize, and her work has been translated into several languages. White Piano, the English translation of Brossard’s collection in French called Piano blanc, is interpreted with finesse by talented poets Robert Majzels and Erín Moure and coaxes the reader through a delicious chiaroscuro of musical conceits, often delicate études that run (rubato) up and down our minds through the neighbouring wall of language, in verse that is by turns brusquely startling and then out of nowhere eminently soothing.